Calling all Star Wars™ fans! It is not be something I've paid a lot of attention to as we don't have Blu-ray... but STAR WARS THE COMPLETE SAGA has been available on Blu-ray Disc for about a month now. You can relive the unforgettable moments and experience the spectacular adventure of STAR WARS The Complete Saga in a way only Blu-ray can deliver. 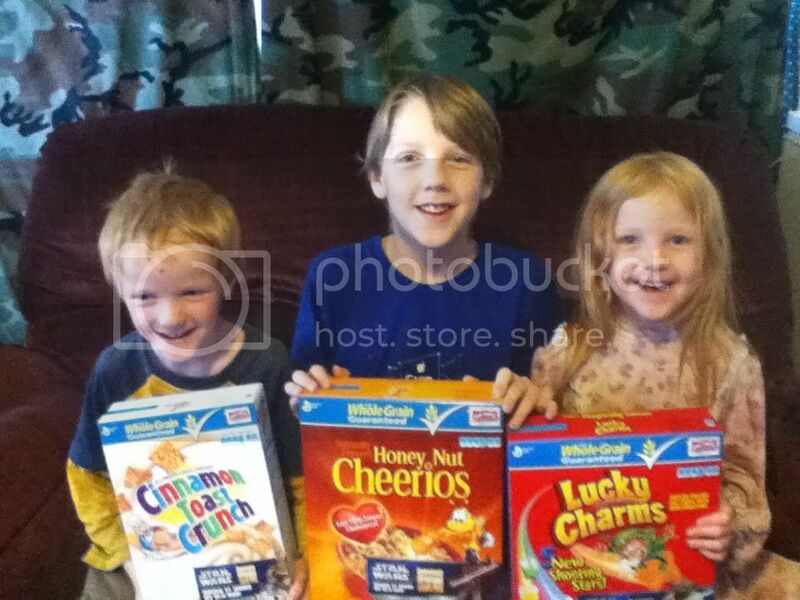 Exclusively at Walmart, look for specially marked boxes of Big G cereals, including Honey Nut Cheerios®, Cinnamon Toast Crunch®, and Lucky Charms®. 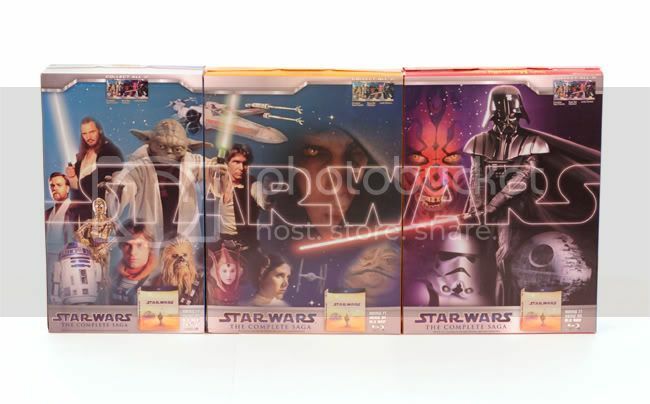 Collect all three to create a Star Wars panoramic poster showcasing your favorite characters, like Darth Vadar™, Luke Skywalker™, Han Solo™, Princess Leia™ and more. Plus a $25 Wal-Mart gift card. Do you want to win the same thing? I have the honor of giving a package away! Luke making sure that Laura was ok.
Wow! My boys would LOVE this! my son has been watching star wars since he was 3! he has a pretty impressive collection. I remember watching the Star Wars Trilogy on all of the band trips in highscool! Good Times! I always loved Yoda. In fact when I was a kid, my cat's name was Yoda. Oh Man! 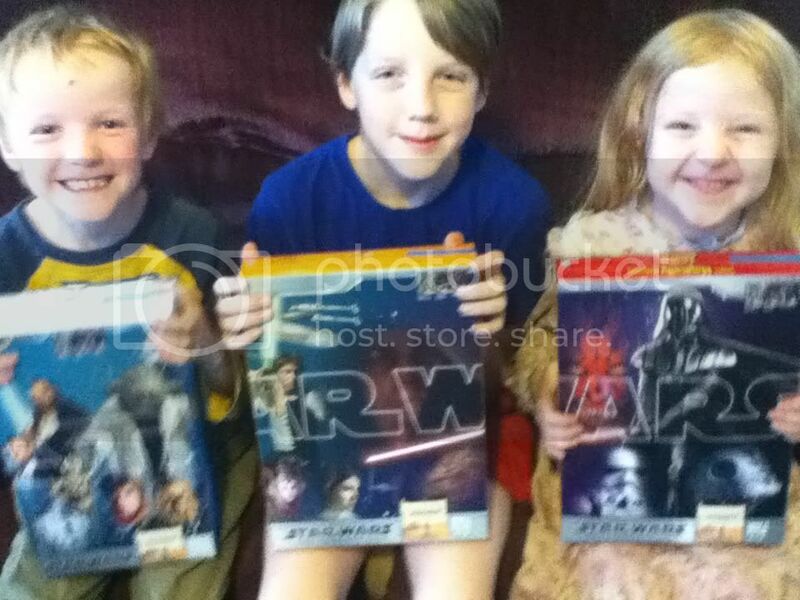 We are a Star Wars family. My favorite character (besides Hahn Solo's pants) has got to be the slug in the Catina scene. Just watch it...he is sooo amazing! A One second camera shot and my whole life I've loved him! I learned those who add Whole grain in their diets eat healthier overall! My favorite line is Darth Vader saying "Luke, I am your father". I learned that the 2010 Dietary Guidelines for Americans recommend that at least half of your grains are whole. We are big Star Wars fans at this house! I always thought Luke Skywalker was a cutie. I learned that Honey Nut Cheerios is a great source of fiber. It was the first "video" that I watched back in 80 or 81. I was at a New Year's party. We are big Star Wars fans here! My kids will love these. You can obviously relate! I remember sitting in the theatre when it was first released....not really my type of thing personally, but when May the Fourth becomes a holiday in your house (May the Fourth be with you! ), I will rally around to bless my boys...I have one PARTICULAR ONE WHO REALLY WANTS THIS! My favorite character is Threepio! I visited the site and learned that whole grain cereals use the entire grain seed of wheat, rye, rice, barley, corn, or oats without milling out the bran and germ. Yoda is my favorite character! Thanks for the chance to win! I remember watching each of the first three movies (episodes 4, 5 and 6, of course!) in the theater when they first came out. I think Han Solo was my favorite character.